Keep a few basic supplies on hand and you can concoct several different delicious Kahlua cocktails. A few of the most popular options include. 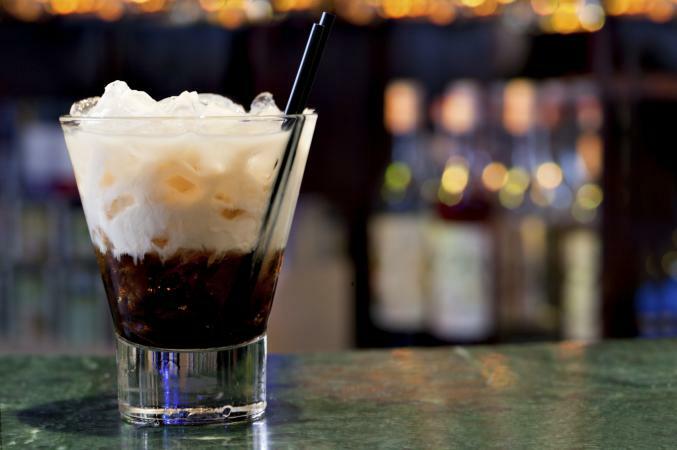 Pour the vodka, Kahlua and Irish cream over a glass of ice and top it with cream or milk. Stir and serve. While White Russians are popular Kahlua drinks, if you're a fan of black coffee you'll probably like this version of the Russian better. It's made the same way as the white Russian, only you omit the milk or cream. Add the ingredients to a martini shaker with ice. Shake until cold and strain into a martini glass. Garnish with espresso beans or chocolate shavings. Layer the three ingredients in a shot glass. Begin with Kahlua, next add Irish cream and finish with the orange liqueur, which can be Cointreau or Grand Marnier. To get the liqueurs to layer properly, pour them slowly over the back of a spoon. Make the hot chocolate using either milk or water and add a shot of Kahlua. Top the mug with whipped cream. Brew the coffee and add a shot of Kahlua to the mug. You do not need to add sugar since the Kahlua is sweetened, but add milk or cream if you prefer. For the purists, it doesn't get simpler than Kahlua and ice. Simply add a couple of shots of Kahlua to a rocks glass filled with ice. If you are a coffee lover, you're sure to enjoy these Kahlua drinks. Experiment on your own by adding other liqueurs for extra flavor, such as Amaretto. Keep a bottle of Kahlua on hand, and try mixing up a few recipes for your next dinner party for a more adult take on after dinner coffee.